Pondicherry, 9 Nov 2017: Nucleus PR successfully concluded the second edition of its annual internal PR Rockstar Awards, where the best teams and individuals across the country were felicitated. Each individual team presented their client case study in front of the jury and contested for five award categories. Each team was judged on the strategy, approach, execution and presentation of the proposed plan. Payal Dasgupta and Anushka Bhagat won the overall PR Rockstar Award(Case Study: Unibic Foods Pvt Ltd). 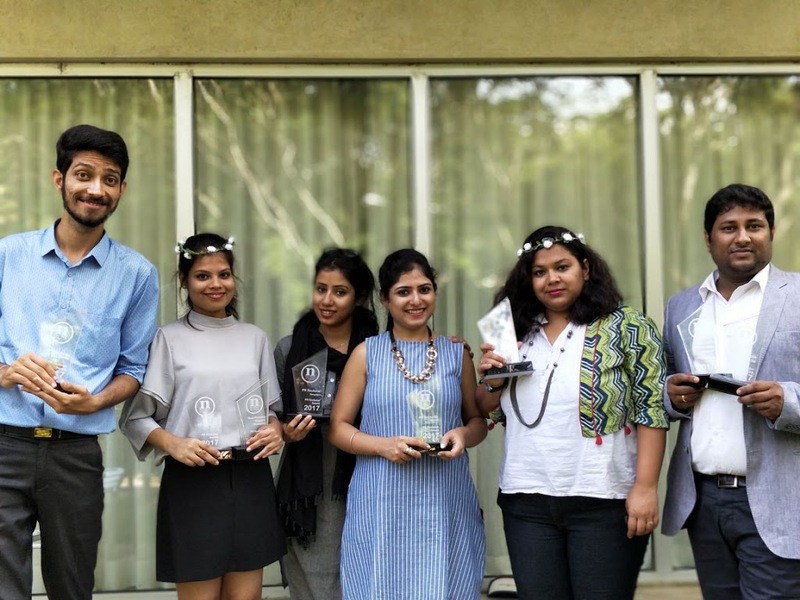 Khushboo Alag and Anuj Bhinde were awarded the PR Rockstar – Mumbai (Case Study: Sony Max LC1 ) and Vinod Reddy and Prama Roy won the PR Rockstar – Bangalore (Case Study: Little Green Café), the respective city-centric awards. Vinod Reddy also won the Media Favorite award while Anushka Bhagat was awarded the Network Resource for excellent media relations and team support. The award is an annual feature at Nucleus PR and is done at an official offsite. The after party for the awards was also one to watch out for. All in all, the second edition of Nucleus PR’s Rockstar Awards was an awesome success.